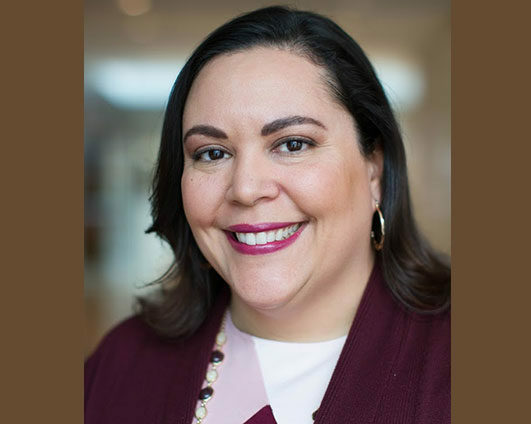 Dr. Judith Pérez-Caro [pronouns: she/her/hers] currently serves as the inaugural director of Equity, Community, and Inclusion at the Georgetown University Law Center. In this role, one of the first of its kind among top law schools, Dr. Pérez-Caro is charged with building the mission, vision, and goals of the office. As director, she serves as a resource for students who are historically underrepresented in the legal profession; develops, supports, and sponsors programs that explore the intersection of social justice and diversity, and provides faculty with curriculum design resources for a more inclusive classroom experience. Dr. Pérez-Caro is keenly aware of the important role that an office such as the OECI has in supporting the success of professional school students. As a first-generation college graduate from a Puerto Rican family in New York City, she navigated much of her educational and professional pursuits on her own, sometimes with great difficulty. Committed to providing access to higher education from all entry points, Dr. Pérez-Caro has served as an educator, scholar, and diversity officer for the past two decades. Before coming to Georgetown Law, she developed the pre-college summer pipeline program for the Cisneros Hispanic Leadership Institute at George Washington University. She has also served as an administrator at the Stone Ridge School of the Sacred Heart, Pace University, and the corporate diversity pipeline program INROADS. As a faculty member, Dr. Pérez-Caro has taught at John Jay College of Criminal Justice – CUNY, Fordham University, and The Catholic University of America. She currently serves on the Canisius College Board of Regents and is an Advisory Board Member for the Glasgow Group, LLC. Dr. Pérez-Caro holds degrees from Canisius College (BA), Columbia University (MA), and Fordham University (PhD; Sociology).